After comparing the key metrics of quality ingredients, nutritional values, taste, value and user feedback with an eye toward the physical traits and needs of the boxer, we must conclude that Orijen Original is the best dog food for boxers. It’s the only commercial dog food in which the top 10 ingredients are all natural protein sources. The boxer is a medium-to-large breed dog. The AKC breed standard lists adult male boxers at 23 to 25 inches tall at the withers, and females 21.5 to 23.5 inches. There is no weight standard for boxers. While 60 to 70 pounds for an adult male is common, some breeders would choose to go with larger stocks for commercial reasons. Larger dogs of every breed are no longer a knock and a boxer that weighs close to 80 pounds is by no means non-standard, just like Charles Darwin wrote more than a century ago about variation under domestication. 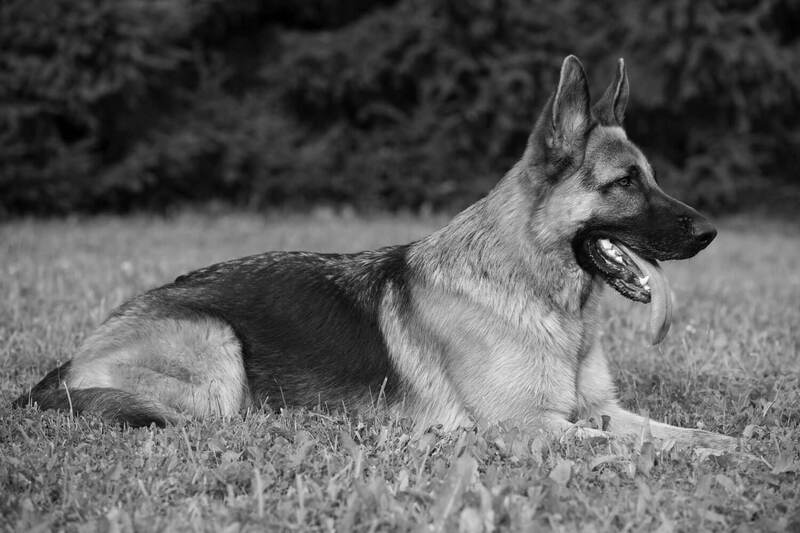 This breed has a sturdy build with balanced lean muscles. 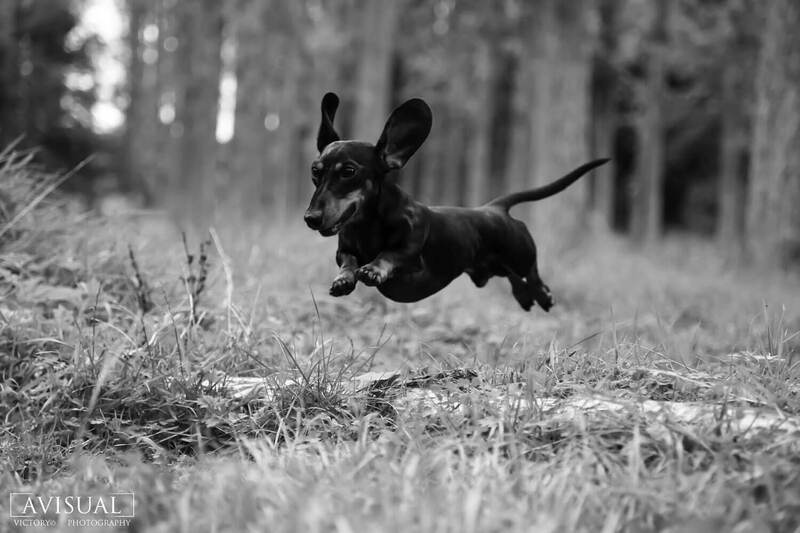 It’s an active breed with energy and enthusiasm to spare. While neutered and spayed individuals are prone to becoming overweight, even they tend not to pack on as many pounds as some other medium and large-breed dogs. This is likely due to their activity level and how they don’t store a tremendous amount of fat under the skin. Like most pure-breed dogs, boxers can be susceptible to environmental and food allergies. 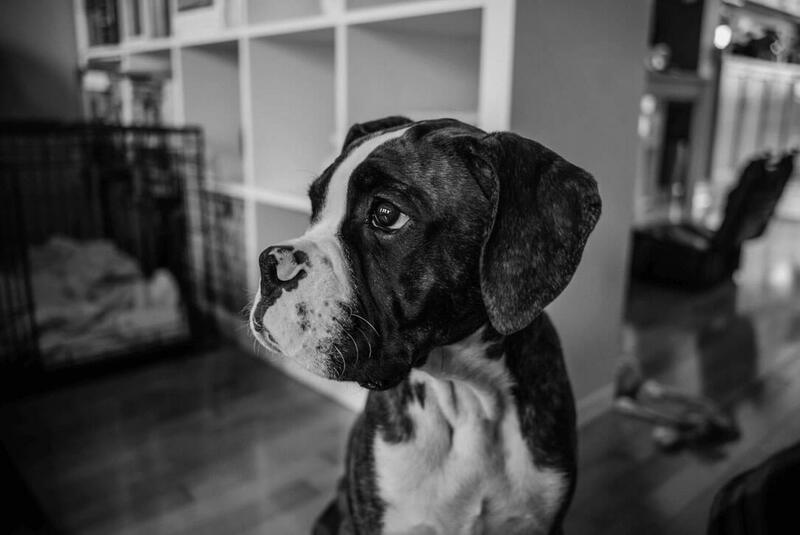 It’s clear from the breed’s characteristics that certain types of food and nutrition would suit the unique needs of the boxer better than others. While boxers can be trained to eat any commercial dog food, there are brands and varieties that they will love and thrive better on. Dog food manufacturers are required to list ingredients in the order of prominence. If chicken is listed first, then we know that it is the top ingredient in the bag of food. They are also required to list protein and fat levels, as well as fiber and moisture (the rest would be carbs and fillers). Even grain-free and special weight loss formulas would contain a lot of carbs since it’s cheaper and there’s the psychological barrier of dog food must cost less than human food. Our advice is to have a look at the nutrition label but don’t make it too much more than a cursory look. What’s more important is how the dog is doing on the food. Here are our picks for best dog food for boxers. Taste of the Wild’s High Prairie formula is marketed as bison and venison. Look at the label and you’ll see that it indeed contains bison and roasted venison, though they’re down there behind buffalo, lamb meal, chicken meal, sweet potatoes, peas, potatoes, canola oil, and egg product. Remember what we said about the label? The fact is this dog food is awfully tasty and your boxer will absolutely love it. It has a roasted meat taste and smells with sweet potatoes and peas which are much higher quality carbs than grains to give Mr. Boxer his instant energy. Protein value is 32% and fat is 18% with plenty of Omega 3 and Omega 6 fatty acids that dogs need. It also contains vegetables and fruits such as antioxidant-rich blueberries, raspberries, tomatoes, and yucca schidigera extract. The energy content is 374 kcal/cup. 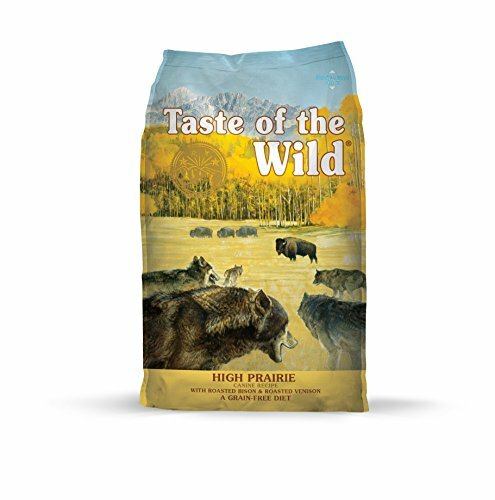 Taste of the Wild High Prairie is our value pick for best dog food for boxers. It uses ingredients found only in premium brands but cuts some judicious corners with processed proteins such as fish meal, chicken meal, and lamb meal. The bottom line is boxers love the taste of this food. It’s great at maintaining their energy level, lean muscles, bones, and coat. 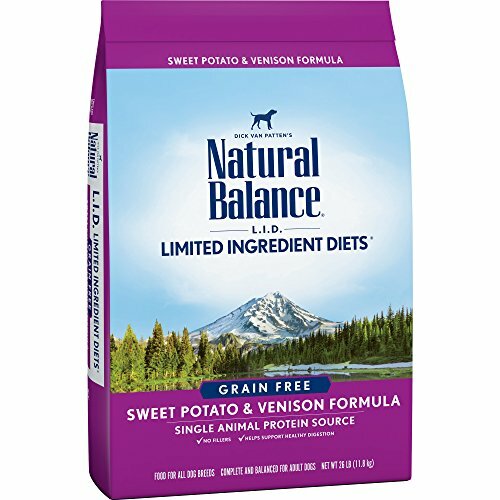 Natural Balance’s Sweet Potato & Venison is their most popular dog food formula. It is the best dog food for highly active boxers. The design philosophy of this formula is simplicity, which is why sweet potato is the only source of carbs in this grain-free dog food. Have a look at the nutritional info and you’ll find that it’s free of processed protein like those found in the Taste of the Wild dog food above. This one is needless to say more expensive. The first ingredient is dried sweet potatoes and next is real venison. It has low protein and fat contents of 20% and 10%. Venison is supplemented with potato protein and pea protein. Top ingredient sweet potatoes pack this formula with plenty of carbs to meet an active boxer’s daily instant and constant energy demands. This food is best given twice a day as the energy content is 370 kcal/cup and most of it from carbs. Natural Balance Sweet Potato & Venison contains no questionable ingredients. It is free of artificial colors, flavors and preservatives. Orijen is a premium brand of dog food by Champion Petfoods of Alberta, Canada. For a while, it was a little known best-kept secret among high-brow dog owners. It was very expensive for dry dog food. That all changed with the proliferation of internet shopping. Orijen exploded onto the mail order scene. It’s now one of the most highly regarded brands of premium dog food and the company has opened a new plant in Kentucky to serve the world’s biggest dog food market. 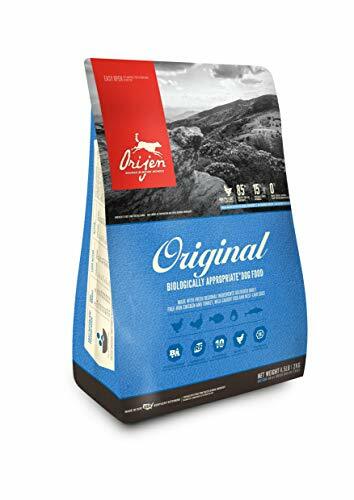 Orijen Original is the new formula made in Kentucky that replaced the Canadian made Orijen Adult Dog formula. Orijen Original is also cheaper in the US because it doesn’t have to be shipped from Canada. As with anything cheaper, you will hear complaints from snobbish consumers about how the ingredients have been altered and compromised, and so on and so forth. We will decline to play that game and let this awesome dog food speak for itself. It’s formulated to simulate the dog’s carnivorous system with natural protein sources such as deboned chicken and turkey, yellowtail flounder, Atlantic mackerel and herring, whole eggs, chicken liver and heart, turkey liver and heart. The protein and fat contents are 38% and 18%. The energy content is a high 449 kcal/cup or 3940 kcal/kg. The kibble size is smallish but that’s actually what big dogs prefer – they’d much rather wolf down this tasty meal than chew slowly. It should be mentioned that dogs have their individual personality and taste. Even the best dog foods may not tickle some dog’s taste buds. This is nowhere near as bad as humans where we can’t even get most young children to eat real fish. If you plan to switch, it’s advisable to get a smaller bag first for trial. We recommend Natural Balance Sweet Potato & Venison for highly energetic boxers that love spurts of rigorous activity. It’s packed with fast-release energy sources and your dog will love you for it. It’s a noble and romantic thing to feed our dog premium dog food. But it’s not as fun if we have to eat dog food as a result. For the budget-minded, we recommend Taste of the Wild High Prairie. This affordable premium dog food uses much higher quality ingredient than supermarket brands. Your boxer will adore the taste. The best dog food for boxers is the current-production Origen Original. Our dogs are too spoiled for hunting, so let’s bring them chicken and turkey including the entrails and flounder and mackerel and herring in a bag. If you think it’s expensive, just think about how people pay $5 for a cup coffee and the Orijen Original will begin to sound more affordable.